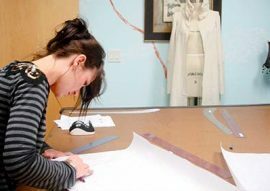 Q: What qualifications must applicants possess in order to be considered for Fashion Runway 2019? Age 18 Years to 25 Years minimum height 5 feet 9 inches (Group A), 5 feet 6 inches (Group B) with excellent physique. Female models MUST be at least 5’6” tall (without heels) and male models MUST be at least 5’10” tall to qualify. Q: How do I apply for Model Hunt to be an IFCS 2019 ? A: Models must download, complete and submit the on-line model hunt application form on our official website. A: Models are required to submit an online application as early as possible in order to secure an audition time at one of our Model Hunt casting calls. Q: If I am selected for a Model Hunt casting call, when/how will I be notified? A: All selected applicants will be informed earlier by email and Telephone calls. The email confirmation will provide an official assigned day and time for a Model Hunt. Q: What should I bring to the Model hunt casting call? A: All models are required to bring a copy of the application, id proof and the email outlining the casting call invitation including the location, date and registration time. Q: What will I need to wear and/or bring to the Model Hunt Call? A: All models must have on little to no make-up, hair pulled back or brushed away from face, black tank or v-neck shirt, skinny jeans or black leggings and female models must bring heels (not wedges) to walk in. No baggy clothing please. Q: If I missed the application deadline, am I still able to attend a Model Hunt? A: We will provide an open Model Hunt casting call opportunity for those that missed the online application deadline. However, there will be no set audition time and we cannot guarantee that you will be seen. Please be prepared to fill out an application on site. Q: What if I am unable to make the Model Hunt Call? A: All selected applicants must attend one model hunt call as the casting panel must see in person. If for some reason, the applicant is not able to make either day, we will require further information regarding past modeling and runway experience and request video of past runway shows. Q: If selected to walk the Runway, What are my Obligations? We need full discipline and dedication from your side for major success of IFCS 2019. Q: If selected to walk the Runway, what are my incentives? A: FR models will not be given any monetary compensation for individual shows. However, FR will attract large local and regional press coverage as well as fashion industry insiders, scouts, store-owners and photographers. many winning model will be awarded by a panel of Model Hunt judges.